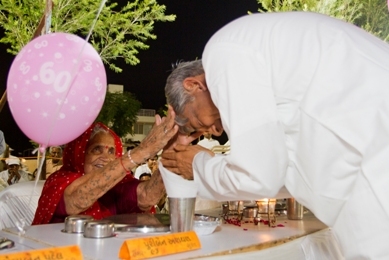 On the 9th of May, Pujya Deepakbhai completed 60 years of his life. On this occasion all mahatmas (followers) gathered in the Trimandir (non sectarian temple) in the morning and did charanvidhi, pujan and aatri. Pujya Deepakbhai came to Trimandir and took blessings from all lords and then from all the followers to become pure for the work of Jagat Kalyan (world salvation). 10,000 followers had come from different places to greet Pujya Deepakbhai for good health and long life. The evening was followed by a shashtipurti Mohotsav organized in Bliss Garden, Simandhar City Phase 2. There were different activities for children like book mark making, tattoo making, bungee jumping, mask making and a puppet show. 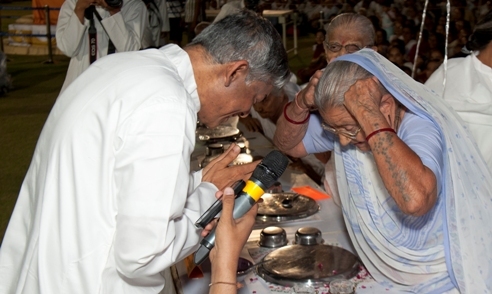 40 followers above 90 years were specially invited to have dinner with Pujya Deepakbhai. Among them 5 were centenarians, the oldest being 110 and youngest at 100. Each of them blessed Pujya Deepakbhai whole heartedly for a super long and healthy life. 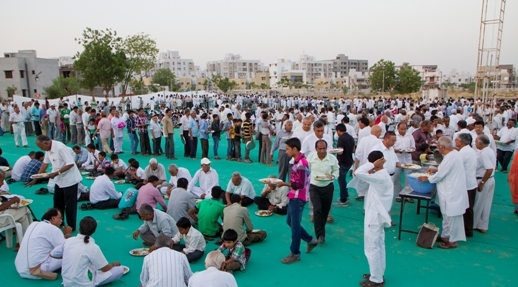 Everyone from kids, youth to adult mahatmas (followers) were involved in the preparations for over a month. They were very excited as the grand day had finally come. 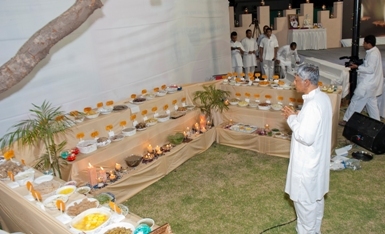 60 food items were prepared by mahatma behno to commemorate 60 years. Kids and youth made amazing cards and greeted Pujya Deepakbhai. In these beautifully decorated cards they wrote their feelings for him and wished him on behalf of all the mahatmas attending the function, followed by a dance performance by total of 96 children. 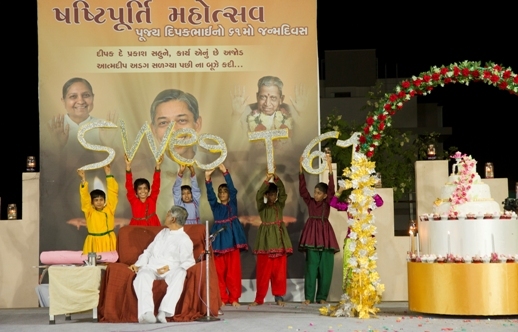 The youth sang Pujya Dadashri’s devotional songs followed by dohas (traditional Gujarati folk talks and songs). The evening ended with a comedy drama performed by mahatmabhaios(followers) where the entire audience just could not stop laughing till the end of the show. 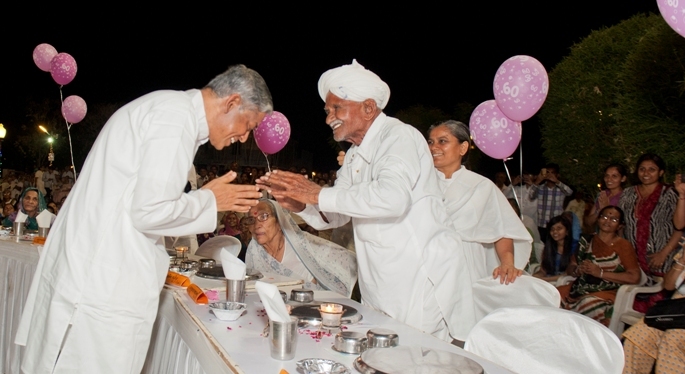 This way, everyone got together and celebrated Pujya Deepakbhai’s 60th Birthday with lots of excitement, fun and joy.